Mark Mathers has over 20 years of experience in the financial services industry, primarily in financial planning, relationship management, and business development. 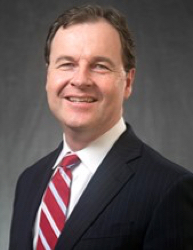 He most recently served as Managing Director of Boston Private Wealth, was a Senior Client Advisor with Silver Bridge and a Senior Financial Planning Consultant for the Bostonian Group. Mark holds an honors degree in Business Studies from University of Ulster, a Certificate in Export Marketing from University of San Francisco, a Diploma in Philosophy from St. Patrick’s Seminary, and holds the Certified Financial Planner™ (CFP®) certification. Mark values collaboration, collegiality and integrity in the process of positively impacting the lives of his clients. He lives in Lynnfield, MA with his wife Kathleen and their three children. He enjoys soccer, Gaelic football and golf.